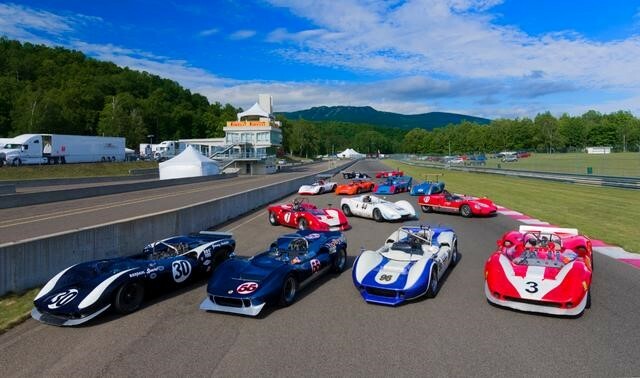 Le Circuit Mont Tremblant offers a great historic track, spectacular lake and mountain views, European style village, 5 star restaurants plus great motorsports fans. The Tremblant International Blues Festival (the largest in Canada), is taking place in the Village the same weekend as our event. The Blues Festival offers free entertainment on 5 stages in the village each evening. TransAm will be the feature at Mont-Tremblant this year. If you have never been to Mont-Tremblant, it is a must. Not only is the race circuit one of the most challenging and picturesque in North America, the village of Mont-Tremblant is incredibly beautiful.